Serving our members and the engineering profession in Sydney. The Sydney Office serves the engineering community in Sydney and surrounding areas. The Sydney Office is led collaboratively by a Division Manager and a Division Committee of 11 local Sydney members. 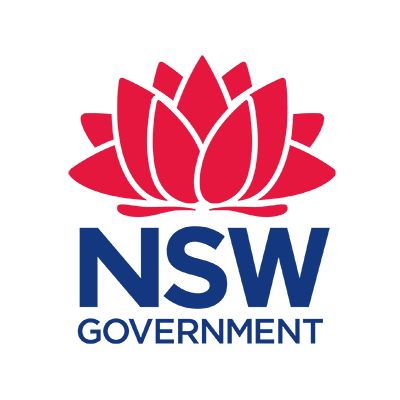 The Sydney Office’s strategic agenda includes contributing to Infrastructure NSW; supporting and initiating educational STEM programs and groups, engaging with careers advisors in high schools to broaden discussions around engineering, and shaping policy in the STEM area; contributing to the NSW’s energy policy; and, supporting the National Engineering Register. Major Sydney activities include the policy launches; engineering heritage endeavours; a mentoring program for engineering students and mid-career engineers; formally acknowledging engineers who have served the profession with Fellow status; and, recognising and rewarding outstanding local individual engineers and projects through our prestigious Awards Program. Start your membership today and enjoy the benefits of being part of a large engineering community in Sydney and beyond. Engineers Australia Sydney greatly appreciate the commitment of our sponsors who are taking a leading role in supporting the value of engineering. The NSW Government, through the Office of the Chief Scientist & Engineer is proud to sponsor the Bradfield Award presented to the overall winner of Engineering Excellence Awards Sydney 2016. Fostering and encouraging a lively state innovation system by promoting productive links between business, the engineering profession, universities and government, the NSW Chief Scientist & Engineer consults widely with industry and government to ensure knowledge and research can be adapted and used to benefit the people of NSW. Hilti offers high quality, leading-edge products, systems and services aimed at improving productivity and safety standards in the construction and energy industries. Active in more than 120 countries, we operate our own production facilities and R&D centres, as well as being involved in various international technology partnerships. Hilti stands for exceptional innovations, outstanding added value, high quality and direct customer relationships. Some two-thirds of Hilti’s 22,000-strong global employees work in direct contact with our customers. Our 200,000 daily customer interactions drive the inspiration for the development of new products and services. The Hilti Group is headquartered in Schaan, Principality of Liechtenstein, where the company was founded in 1941 by brothers Eugen and Martin Hilti. Still privately owned, all company shares are held by the Martin Hilti Family Trust, ensuring the long-term continuity and advancement of the company. Hilti (Aust.) Pty Ltd is a fully owned subsidiary of The Hilti Group. Since being formed in Adelaide in 1960, local operations have expanded considerably with headquarters in Sydney and representation in all major cities and regional areas. The University of Technology Sydney Engineering and IT is an innovative and research intensive faculty with a strong reputation for its practice-based learning programs and industry engagement. Our goal is to produce impact-driven, user-centred research outcomes and to incorporate this into our students’ learning. We have a strong focus on collaborative research with the aim of improving individual lives and society as a whole, not just in Australia but around the globe. The University of Wollongong’s Faculty of Engineering and Information Sciences is committed to advancing our understanding of the natural and technological worlds, and using this knowledge to improve our environment and society. The Faculty has a world-class reputation for excellence in research and innovative approaches to teaching and learning. With a place in the Group of Eight Engineering and Associates, UOW has one the top engineering faculties in Australia. The faculty members are driving relevant and cutting-edge research in a wide range of areas focused on providing innovative solutions to global issues. Our strong links with industry deliver mutually beneficial and innovative outcomes. These partnerships foster the exchange of ideas and the development of innovations that transform markets and industries. They provide patent, trade mark, design & copyright, commercialisation, privacy and data protection and services in Australia, New Zealand, Singapore and the ASEAN region. They are committed to understanding your IP in the context of your business. They are wholly owned by QANTM Intellectual Property Limited, an Australian Securities Exchange listed company comprising Davies Collison Cave and FPA Patent Attorneys. Further information about QANTM Intellectual Property can be found here. The Australian Engineering Excellence Awards recognise and promote new, innovative and life-changing ideas that are brought to life in ways that bring fundamental change to our society. The annual Engineering Excellence Awards exhibition is a collaboration between the Powerhouse Museum and the Sydney Office of Engineers Australia. The exhibition showcases innovative Australian engineering projects that have been developed for both local and global markets. All awards have been peer reviewed by a panel of judges established by the Sydney Office. The panel comprises practitioners and academics from the engineering community. Each year, the most outstanding project receives the Bradfield Award, named after the Australian John Job Crew Bradfield (1867-1943), the Chief Engineer for the Metropolitan Railway Construction and the Sydney Harbour Bridge. To find out more about Fibre Optic Menometry - A 21st Century Approach to In-Vivo Diagnostics visit the Powerhouse website. To find out more about One Central Park visit the Powerhouse website. To find out more about Green Materials – Novel Processes to Transform Waste Automotive Glass and Plastics into Value-added Materials visit the Powerhouse website. To find out more about Project Caramello visit the Powerhouse website. To find out more about the Illawarra Flame House visit the Powerhouse website. Engineers Australia runs a variety of student engagement programs throughout Sydney and Newcastle. To find out more about these programs please download our 2019 STEM student engagement brochure. A full day of experiential engineering activity organised by Engineers Australia Sydney’s Women in Engineering Society and featuring inspiring collaborations between 6 universities and 6 engineering businesses. Find out more about this creative and exciting industry: what subjects you need to study for HSC/IB; what is it like to be an Engineer? ; and how you can contribute to society and make a difference through Engineering. Scholarships assisting with travel and accommodation costs are available for students living over 100kms from Sydney’s CBD. Students from Year 6 through to Year 12 with an interest in science, maths and technology are encouraged to join us for this engineering immersion event. Speak with industry experts about the exciting world of Engineering and discover how the industry will transform in the years ahead. So, if you like designing solutions to problems, want to contribute to society and make a difference to the world – this is for you! In addition to our industry experts, leading Australian Universities will be showcasing their cutting edge student and faculty project works. Speak to the project leaders and faculty about your options for further study and the path you may want to tread. Honeywell Engineering Summer School is an initiative organised by Engineers Australia, Sydney Division, ‘Engineering’ Universities and participating Rotary Clubs. The objective is to give high school students a better understanding of what engineering is and how it works in everyday life. The Honeywell Engineering Summer School will bring together 100 Year 11 Students from Regional NSW and Sydney Metropolitan Area and who are facing choices which will influence their future careers. It is a residential school with students accommodated on campus. Engineers cultivate creative, enquiring minds, a strong interest in mathematics, science and the environment, and want to contribute to improving the quality of life for everyone. Within each engineering discipline there are many career paths from management to research and teaching, from construction and maintenance to sales and marketing. Engineering is a prestigious profession and is essential for a nation’s future development, creating wealth and employment which increases living standards throughout our societies. Throughout the program the students will meet and interact with professional engineers employed by government, private companies, researchers and academics in a wide range of engineering disciplines. The students will attend lectures/demonstrations at participating NSW universities, and participate in industrial visits, providing students with the opportunity to see the different engineering disciplines at work. In addition, the students will visit four engineering sites (site tours) and attend a careers event with engineering professionals, providing the students with the ability to ask an engineer questions to assist them in their future studies. Engineers Australia’s Summer School is proudly sponsored by Honeywell. This program is aimed at year 10 and 11 students. The day consists of hands on engineering activities, presentations from student and professional engineer. The Discover Engineering Day program presents an opportunity for students to be exposed to engineering as an industry and as a profession. The day consists of hands on engineering activities, presentations from student and professional engineers. It is a fun and interactive day where students can learn about what a career in engineering is all about. Students will also be given the opportunity to meet with the engineering faculties from some of Sydney's big universities and gain a great insight into what their future might hold as an ENGINEER. If you would like to get involved or find out more information, please contacts us on 02 9410 5600. This week long program is aimed at year 11&12 Sydney students. The students visit 4 engineering universities, industry site tours and are provided with the opportunity to talk one-on-one with engineers at a careers expo. Cochlear Autumn School of Engineering is an initiative organised by Engineers Australia, Sydney Division, ‘Engineering’ Universities and participating Rotary Clubs. The objective is to give Sydney metropolitan area high school students a better understanding of what engineering is and how it works in everyday life. The Cochlear Autumn School of Engineering will bring together 100 Year 11 and 12 Students from Sydney Metropolitan Area and who are facing choices which will influence their future careers. In addition the students will visit three engineering sites (site tours) and attend a careers day with engineering professionals, providing the students with the ability to ask an engineer details questions to assist them in their future studies. Engineers Australia Autumn School is proudly sponsored by Cochlear. Cochlear is the global leader in implantable hearing solutions. Around the world, Cochlear helps hundreds of thousands of customers to connect to family, friends and the world of sound. Cochlear is recognised in industry as an in novative company and a unique employer. In 2014 Cochlear was recognised as one of the Top 10 Most Respected Companies in Australia. For information on Cochlear, go to www.cochlear.com. This program is a fun and interactive program designed to help students achieve key learning outcomes in science, technology and mathematics. Students work in teams, at their own pace, applying their problem solving skills to unravel exciting engineering projects. Great Engineering Challenge by UNSW Engineering is an fun-filled day of hands-on activities for high school students in years 10 and 11. The day consists of a number of exciting real-life challenges and guest speakers with a wealth of knowledge. The students are encouraged to apply a lateral thinking approach to solving the challenges. They work as teams and compete against other schools to win some great prizes! The Engineers Australia Great Engineering Challenge sponsored by UNSW Engineering is an fun-filled day of hands-on activities for high school students in years 10 and 11. The day consists of a number of exciting real-life challenges and guest speakers with a wealth of knowledge. The students are encouraged to apply a lateral thinking approach to solving the challenges. They work as teams and compete against other schools to win some great prizes! This is a free event, registration is essential to attend. Please direct any enquiries to [email protected]. Trying to decide what and where to study can be overwhelming. Visiting university campuses, talking to academics and attending as many events as possible will help make the right choice of degree and university for you. Students interested in studying engineering, project management and information technologies can get involved in a number of activities run by the Faculty of Engineering and Information Technologies. What is Engineering? It’s a common question we want you to discover the answer to. Come explore the possibilities of engineering at UTS plus get to know our new home, purpose-built to give you an all-rounded education. Engineers Australia's response to the 2018 NSW Curriculum Review. national standards for engineering practice through examination and registration of individual practitioners. Engineers Australia Sydney offers spaces for hire with areas suitable for your next workshop, presentation or meeting. These include a Ground Floor Auditorium and two Meeting Rooms at Level 3. Engineers Australia Sydney Office is situated in Chatswood, easily accessible via Pacific Highway and a short walk from Chatswood Railway Station. Engineers Australia has worked with Transport for NSW (TfNSW) to develop a new Capability Framework for their engineering workforce. Against each capability, there are five levels of complexity to determine level of skill and experience, from Foundational to Highly Advanced.